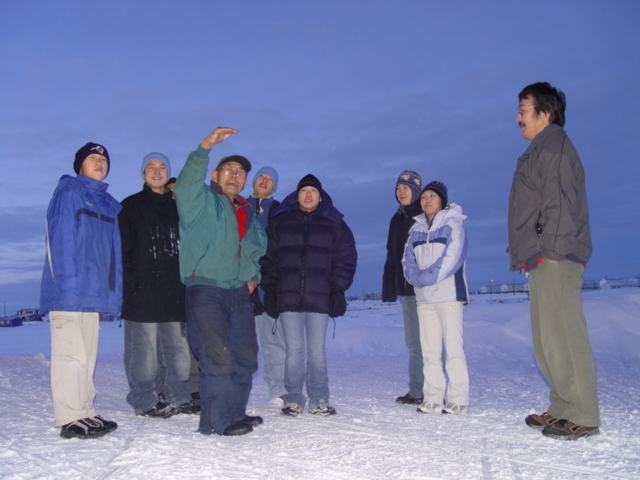 Teaching in Bush Alaska was an unforgettable experience. Discovering a rich culture lying in the middle of a vast peaceful landscape, and then learning about the people and offering the help I could, was the most rewarding experience of my teaching career. 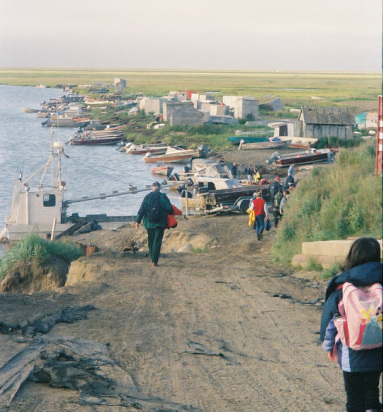 At the same time, as part of teaching in Alaska, I learned about the culture. 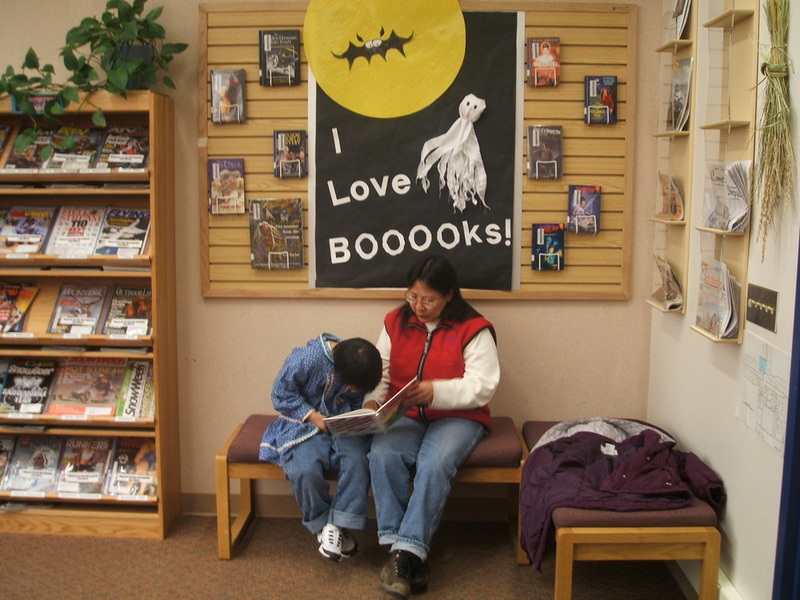 This is a requirement for Alaskan educators who are required to take a state approved course in Alaska Studies and one in Multicultural/Cross-Cultural Communication. Each region/district/ village is uniquely different and so it is critical to learn from the locals and reach into the hearts of my students by developing programs that they were so eager to engage in. 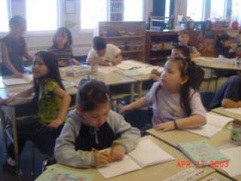 A young class engaged in writing. Teachers about to board fishing boats for a lesson upriver. 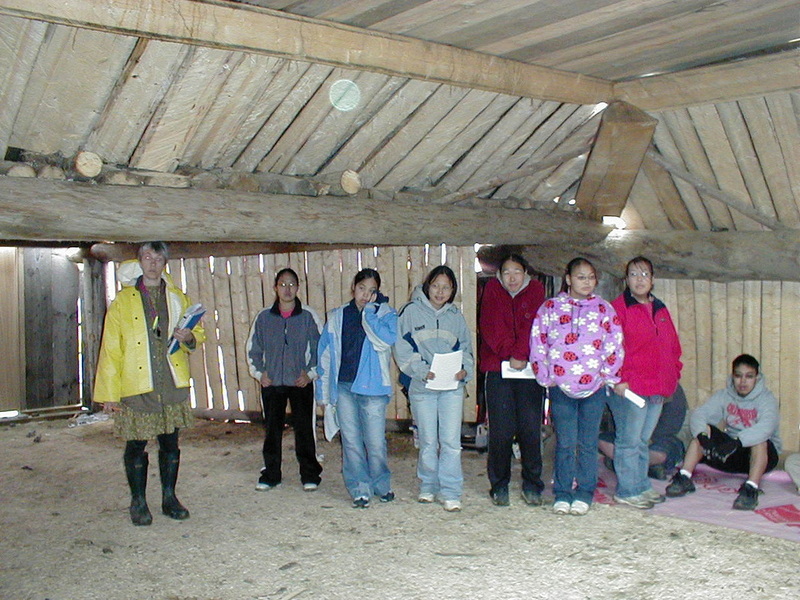 Students learn about the native subterranean house. One on one learning support. 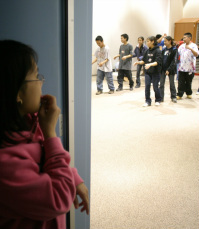 A student nervously watches a dance practice. The wisdom of the elders is critical for all of those living in the bush. 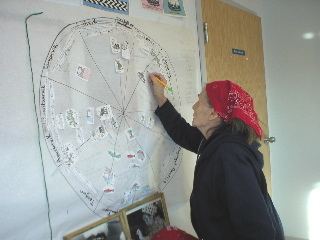 Elders knowledge of survival including ability to read weather patterns along with local history, means they are a critical part of the students' learning. Some classrooms have elder armchairs, always ready for an elder visit. Teacher education is also critical. 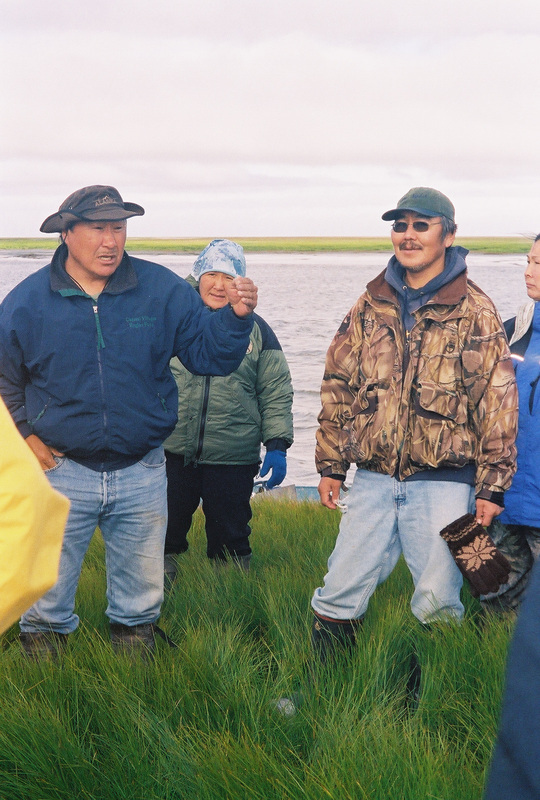 All teachers must pass A lesson on the tundra for teachers. A middle class lesson in the computer suite. A night lesson with an elder.